The capital city of Italy, Rome is affectionately called the “Eternal City” due to the wealth of culture and history within its walls. Once the seat of the Roman Empire, today it still remains one of the world’s most important cities, with various attractions from heritage sites to shopping and dining. 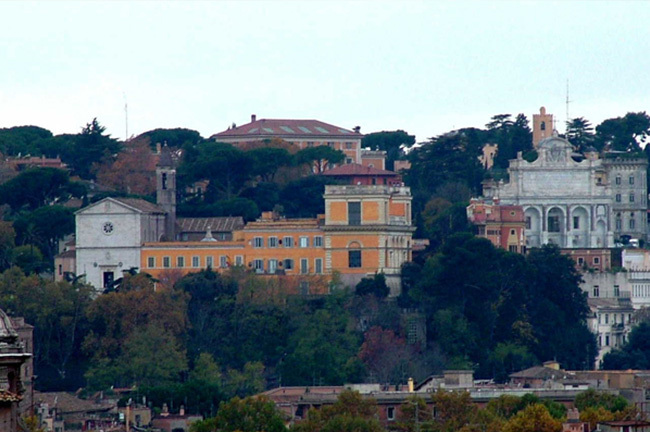 As the saying goes, all roads lead to Rome, and when you get here you’ll definitely find something for you. As the name suggests, this majestic basilica is one of the most important churches dedicated to the Virgin Mary in the city. Containing artworks dating back to the 5th century, the basilica also houses its own museum and a number of relics. 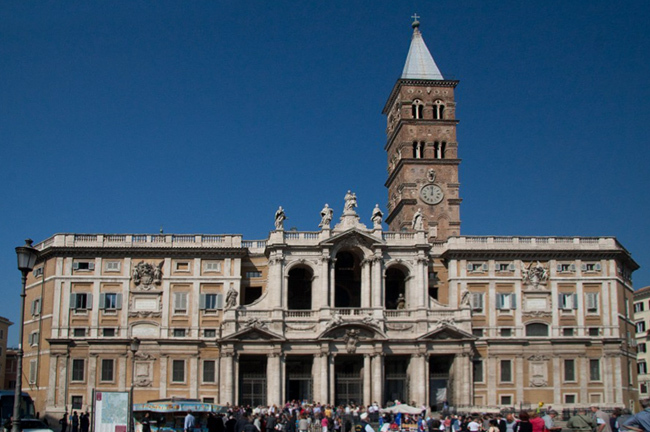 It also contains the tombs of Saint Jerome, Pope Sixtus V, and Pope Pius V, making it a site of pilgrimage. This landmark needs no introduction. 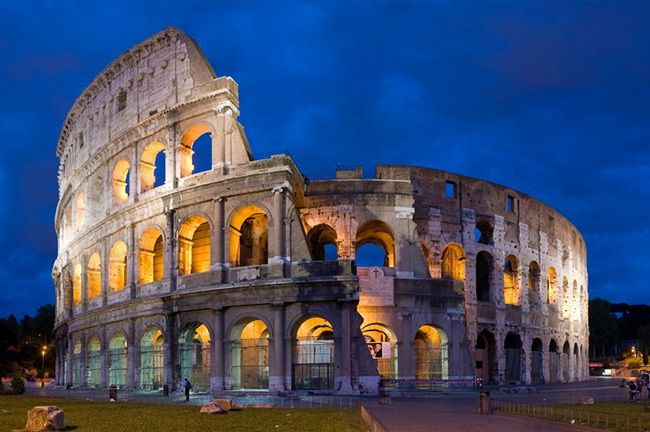 The site of many gladiator fights, it remains one of the biggest amphitheaters in the world, and remains an imposing sight even in its partially-ruined state. 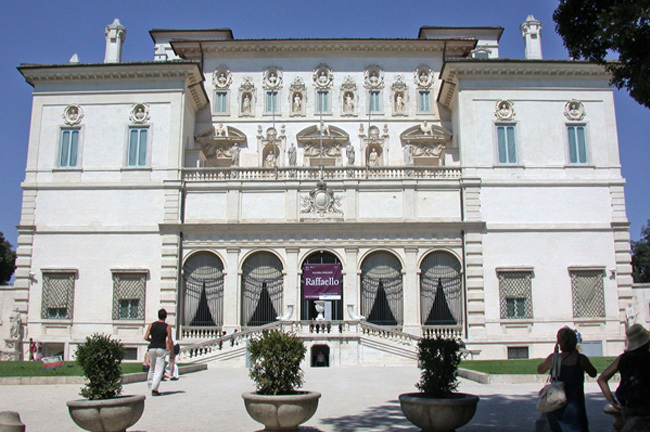 Discover the works of Italian master painters with a visit to the Galleria Borghese. This gallery, once a villa owned by the Roman Borghese family, houses works by Bernini, Caravaggio, Titian, Raphael, and more. Heard about the seven hills on which Rome was founded? There’s actually an eight one, according to locals, and that’s Gianicolo Hill. Visit the park on top of this hill to unwind from busy city life and enjoy an amazing view. 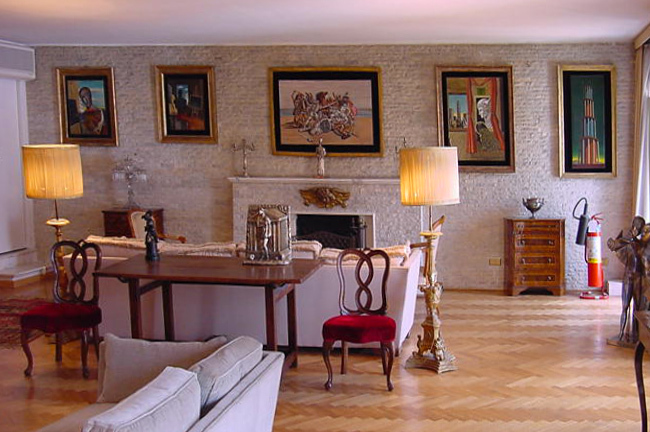 Italy’s tradition of art continued well into the modern era, and the painter Giorgio de Chirico was at its forefront. Learn more about this prominent artist and see his works at his former house and studio, now a museum. 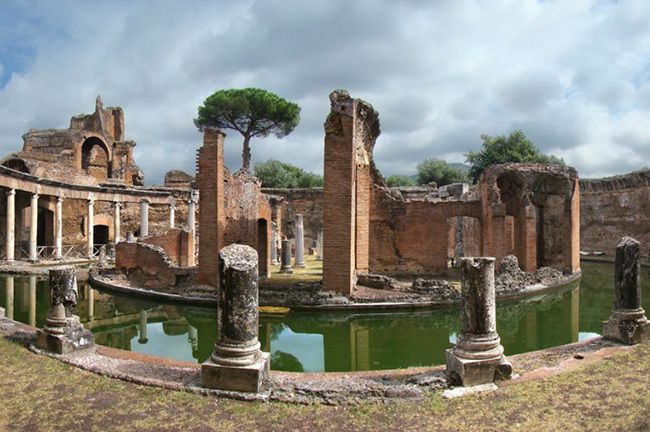 Built around the 2nd century AD as a vacation home for the Roman Emperor Hadrian, this villa complex eventually became the home of various emperors until it fell into disuse and eventually gutted. While only its ruins remain today, it still remains a sight to behold; it is now recognized as a UNESCO World Heritage Site. 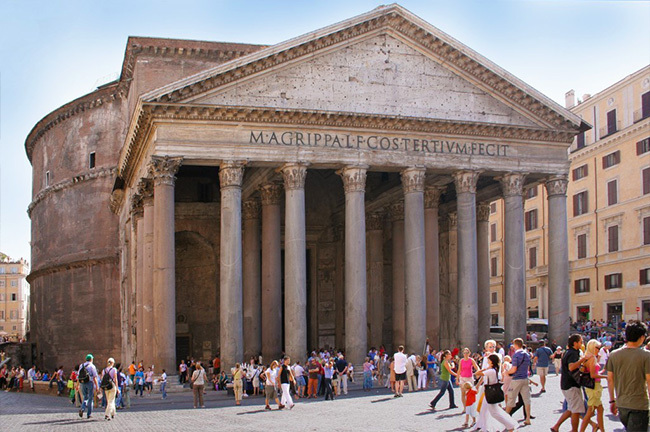 Another landmark is the Pantheon, one of the most well-preserved buildings from the glorious days of ancient Rome. Built sometime between 118 to 125 AD, it is now being used as a church dedicated to the Virgin Mary. It also houses the remains of various personalities such as Vittorio Emanuele II, the first king of unified Italy; and the painter Raphael. While what remains of the Roman Forum are ruins, it is still easy to be impressed by its last remaining structures. 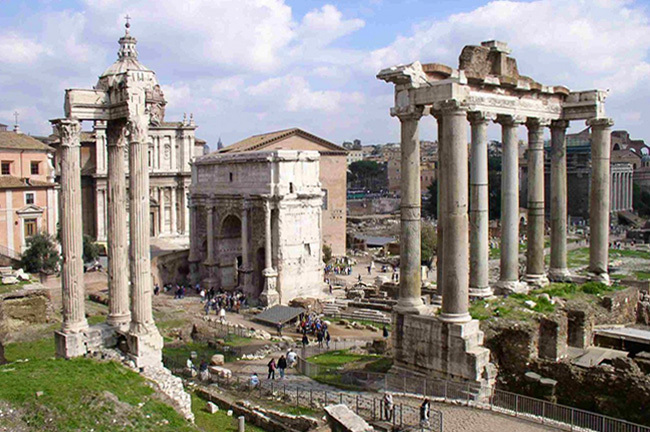 Previously the heart of the Roman Empire, the Forum was once where the Roman Senate met and countless temples were erected. Known as the Church of St. Louis of the French in English, this 14th century church was designed by Giacomo della Porta, who also worked on St. Peter’s Basilica. 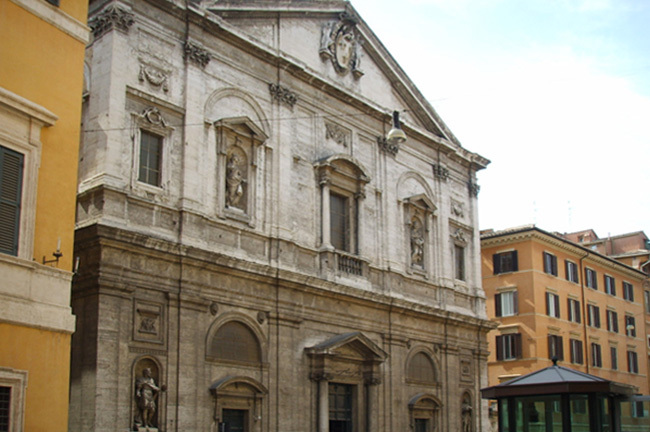 Boasting of marble sculptures and gilded stucco, it also houses some works by the painter Caravaggio. Created in 1723, this 138-step stairway got its name from the Spanish Embassy, located nearby. 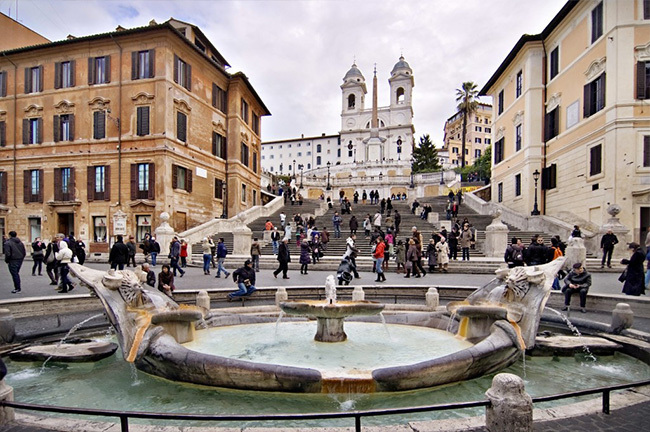 It connects the 15th century church of Trinita dei Monti at the top to the Piazza di Spagna below, becoming a popular meeting spot for artists and their models. 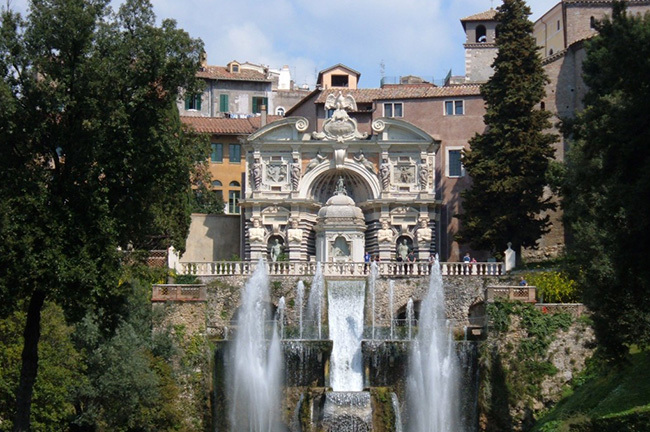 Located in the outskirts of Rome, this UNESCO World Heritage Site is considered the finest example of Renaissance architecture, from the villa itself to its surrounding gardens. 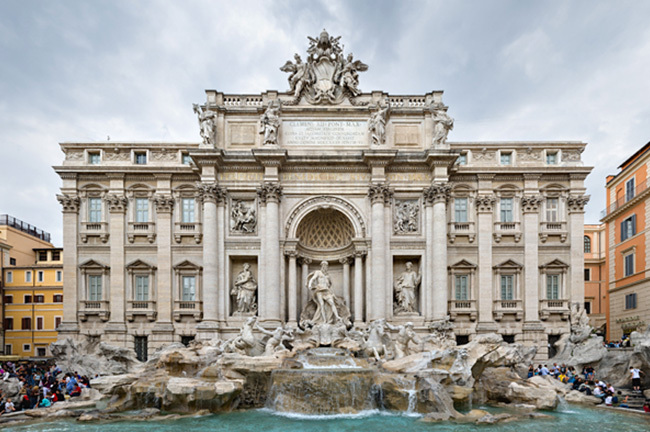 One of the most famous fountains in the world, the Trevi Fountain stands as a shining example of classical art. Recently restored to its original state, the fountain is also home to a tradition—many travelers throw coins here to attract good luck or love. 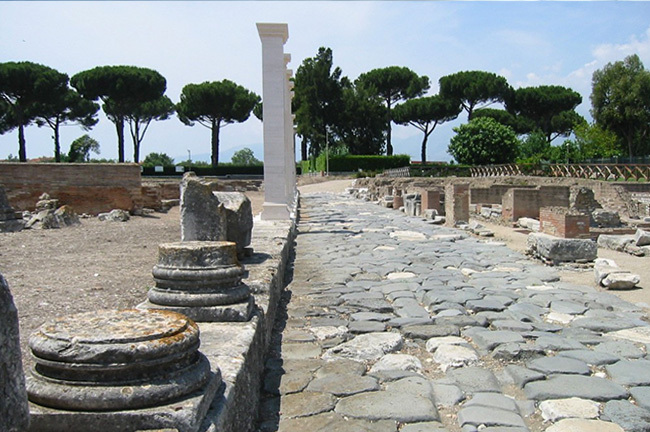 Known as “the queen of the long roads,” it is one of the earliest and longest roads of the Roman Empire, spanning 330 miles. Rich in legend—it was said to be where Christ appeared to Saint Peter—the road is also lined with various ancient monuments.